I should have thought of this earlier. If you would like to help stop the confusion- please print this sign- take it to your normal polling place and tape it on the door. Circle the polling place you have been assigned. Thank you for helping out. 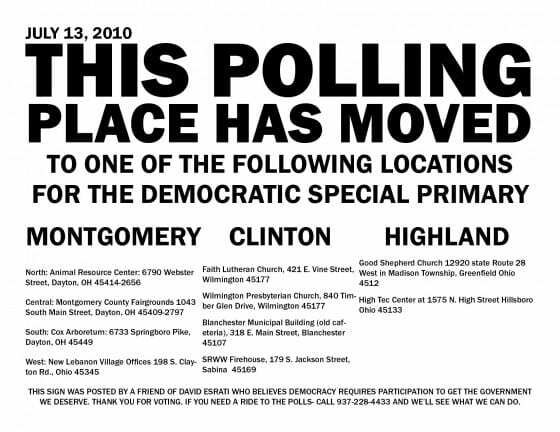 The election for Ohio 3 is today, July 13, 2010. You have three choices to select from. See previous posts to help you decide. @sergio thanks for your kind words. Please introduce yourself when you are knocking on doors for Mr. Roberts this fall.